Many critics were actually pretty impressed when ‘Bing’ first launched on the iPad a few months back. Today, Microsoft followed up with their first update, which adds an intuitive feature known as Lasso. Users enter Lasso mode after tapping a new option in the navigation mode. From there, users just circle a word or phrase in whatever page they happen to be reading and Bing then launches a search for that term. Bing 1.1 for iPad is a great update, and is one that probably leaves many users wondering why Google hasn’t made up an application as visually impressive and intuitive as Microsoft’s search solution. 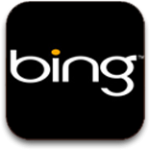 Bing for iPad is available for free from the iOS App Store.